Alright…I know this series is a little quirky and happened to score a lot of fanboys, but Joss Whedon created quite the show. Focused around the idea of a “slayer” who takes out supernatural beings (mostly vampires), Buffy’s character goes through a transformation from high school drama to facing death to facing life to the end of the world (multiple times). Each season brought a new arc, new central villains and new stages of Buffy’s life. There was the occasional episode that was a little off, particularly the episode that served as an anti-drinking campaign, but the show had a plethora of excellent moments. There are quotable moments aplenty. The characters develop from episode to episode but they maintain the clever quips that make the writing intriguing. 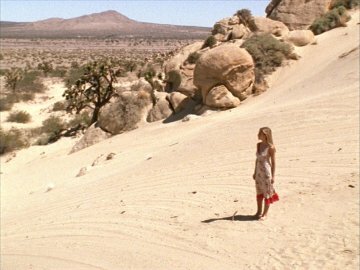 From musical numbers to the end of the world, these are my top 10 favorite Buffy moments. #10: Restless (4.22) – As the only season that does not end with a huge battle, season 4 ends with a series of dream sequences that frame what is to come for the slayer and her friends. 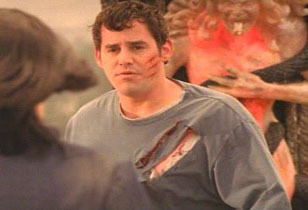 Though Xander, Giles and Willow all experience similar themed lessons, Buffy finds herself face to face with the first slayer. There are a number of allusions with Dawn and the beginning of Adam, prior to his transformation. With a different approach to this season finale, the storyline was opened up for at least a few more seasons of Buffy-mania. #9: Once More, With Feeling (6.7) – Though there are a number of moments in this episode (regarded one of the best musical episodes of all time), the most vital one is near the end. As Buffy attempts to make a deal with the demon, she begins her song “Give Me Something to Sing About.” The song comes with a revelation for the rest of the characters. Though they believed her resurrection was a blessing, they realize that she does not feel the same. It is also another moment in the Buffy-Spike saga that brings their love story more toward fruition. #8: Becoming Pt.2 (2.22) – In a season that saw Angel go from vampire with a soul to full villain, Buffy has a tough choice to make. With an odd backing by Spike, he and Buffy take down Angel and Drusilla. At the moment Angel has his soul returned, Buffy realizes that she must say goodbye. Though Angel is completely confused by her actions, he fades away, changing their relationship from that point forward. #7: Grave (6.22) – Though the episode is focused on the near destruction of the world at Willow’s hands, there are two moments that actually make this an amazingly good episode. The first is how Xander saves the world. Approaching the enraged Willow slowly, he is able to talk some sense into her and she breaks down, eliminating her power’s strength and world destruction. The second comes at the end of the episode when Spike finishes his quest in Africa. 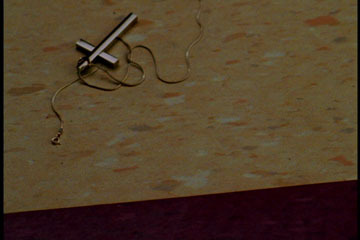 Though it is not clear what he wants from the previous episodes, his last moments end with him receiving his lost soul. This is a game-changer going into the last season. #6: Chosen (7.22) – In the final moments before the epic battle, the main four characters meet up for one last conversation. Rather than talking about the impending struggle, the group breaks into a conversation similar to that of an earlier battle. It is a moment of levity in a period of turmoil and allows Xander to show a little of the humor that once defined his character. #5: Dirty Girls (7.18) – At the vineyard, the slayers attempt to take out the preacher. When Xander gets brave and caught in the middle of the action, he pays for dearly for his involvement. The preacher blinds him in one eye, changing his character permanently. Going from the comedian of the group to its darkest member, he and Willow attempt to joke with each other but realize those moments have passed. It was a tough moment for anyone who appreciated the Xander character. #4: Seeing Red (6.19) – Buffy, having just destroyed Warren’s powers, finds herself facing mortality again when he shows up in her backyard the morning after their confrontation. Armed with the only human weapon that can seemingly kill her, Warren pulls out a gun out of desperation. Firing shots without aiming, he hits Buffy in the stomach but a stray bullet flies through the upstairs window and strikes Tara in the chest. Falling into Willow’s arms, she fades aways and leave Willow in shock. This moment leads to Willow’s transformation into the evil spirit that concludes the 6th season. 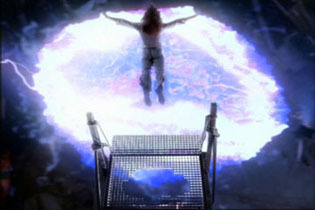 #3: The Gift (5.22) – During Buffy’s defining moment, she promises to Dawn that she will find her way back somehow and dives into the open portal. Releasing her energy, Buffy sacrifices herself to save everyone, particularly Dawn (her only significant remaining family. While her first death ended in her revival through CPR, this is seemingly permanent. Spike also has a moment that pushes his character to the next level in his display of love for Buffy. He had led on to his feelings throughout the past couple seasons, but he exhibits true loss when he sees Buffy’s body lifeless on the ground. 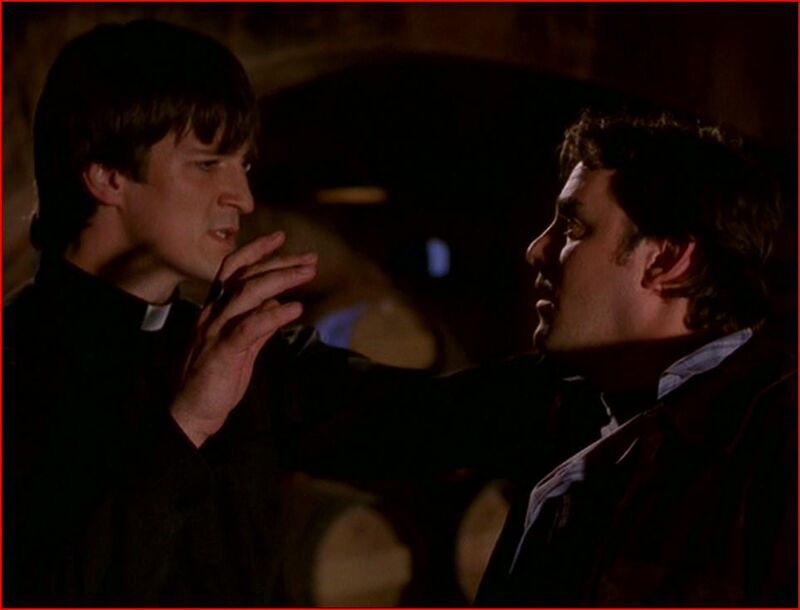 #2: The Body (5.16) – The show has a number of emotional moments, but this is one of the most difficult to handle. It does not matter that Buffy dies twice, but when her mother seemingly passes away from natural causes unexpectedly, the characters fall into a rather intense level of grief. The best reaction comes from Anya, who suffers from a lack of understanding human emotion. Like a child, she looks at those around her and asks what she should be feeling. It also sets the stage for another growth moment for Buffy into adulthood. #1: Prophecy Girl (1.12) – Though a short moment in the span of the series, the first season had appeared to be more of a teen romantic sci-fi comedy than a drama. The ridiculous situations during the first several episodes set up a show that did not seem to have any real depth. The scene when Buffy begins to truly deal with her mortality and snaps at Giles’s focus on the prophecy takes the show to a new level. Buffy appears to have a number of inner demons and a true value for life. This ends up being only the beginning of her battle between life and death but definitely a meaningful moment in her development.